BEIJING (New York Times) — A Christian pastor who defended local churches when the Chinese authorities removed church crosses was sentenced to one year in prison on Tuesday night by a court in Zhejiang Province. The pastor, Huang Yizi, was sentenced by the People’s Court in Pingyang County after being convicted of “gathering crowds to disturb social order,” said Mr. Huang’s lawyer, Zhang Kai. Mr. Zhang said that he would appeal the court’s verdict. 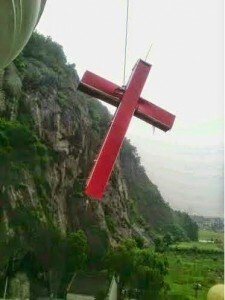 Last July, Mr. Huang, a pastor of the government-sanctioned Fengwo Church in Pingyang, and several local residents asked the Pingyang County government to explain why the police beat more than 50 parishioners when they tried to stop government authorities from taking down the cross from Salvation Church, a Protestant church in Pingyang. Mr. Huang was arrested in August, and the Salvation Church’s cross was toppled several days after his arrest.